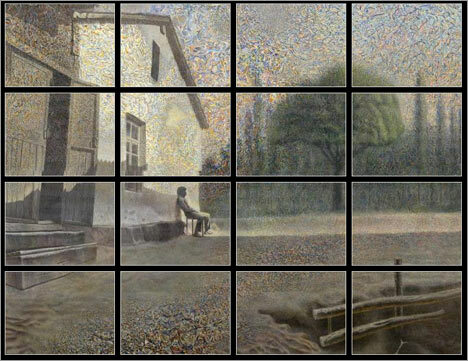 Vyacheslav (Yuri) Useinov's personal exhibition "Fractal Realism" opens in the Fine Arts Gallery of the National Bank of Uzbekistan on April 17. The prominent Uzbek artist owes the exhibition to help from the Swiss Agency of Development and Cooperation, Center of French Culture, Sarkor Telecom, and Fine Arts Gallery itself. Ferghana.Ru: - This is not your first personal exhibition, is it? What is it difference from previous exhibitions? 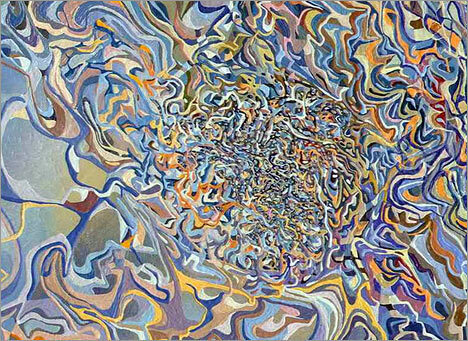 Vyacheslav Useinov: - One may call it first indeed because it is an retrospection of my works since 1973. It's really important because few artists keep works that long. Ferghana.Ru: - What is to be displayed will include practically everything you've created, right? Vyacheslav Useinov: - Yes. There is one other nuance I'd like to draw your attention to. Certain texts will be displayed along with paintings - seven pages of the poetic Fractal Realism Manifesto in Russia, Uzbek, English, and French. I even thought of adding texts in German and Chinese as well, but translation into these languages required more finances than we could afford. Ferghana.Ru: - What is the Manifesto about? And why did you want it translated into all these languages? Vyacheslav Useinov: - Yes, I wanted it in European and Asian languages. As for what the Manifesto is about... 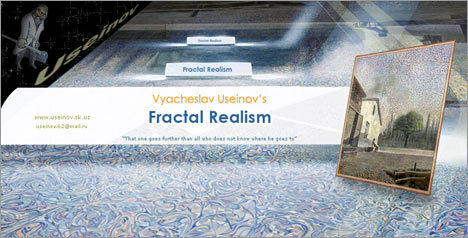 It proclaims a new school in fine arts, namely Fractal Realism, and explains what it is. Ferghana.Ru: - This is the first time the Manifesto is to be presented to general public, am I correct? Vyacheslav Useinov: - You are correct. I approached some Russian journals but they wouldn't publish the text because the author was not citizen of the Russian Federation. Ferghana.Ru: - Where did this new school originate? 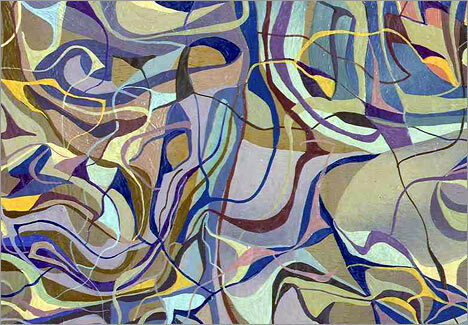 Vyacheslav Useinov: - It is rooted in the Renaissance and period of the Russian avant-garde of the 1920s. As for the word "fractal" itself, it is a mathematic term. An endlessly self-similar geometric figure whose every fragment is repeated on a smaller and smaller scale.